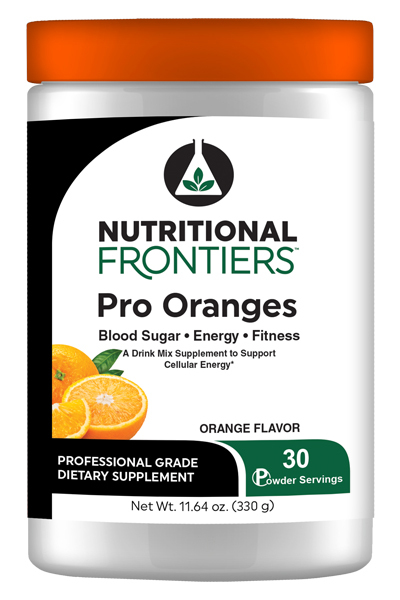 PRO Oranges is a delicious energy drink mix to support endurance and cognitive function. - Orange fruits and vegetables provide sustainable energy due to the powerful combination of natural sugars and carbohydrates, protein and fiber. - A proprietary vegetable blend of yams, pumpkin, carrots, butternut squash, and rutabaga are provided in each serving. - Helps the body burn a higher proportion of lipids to carbohydrates, which can help reduce muscle fatigue. - Contains chlorogenic and caffeic acids- 2 powerful polyphenols. - Chlorogenic acid helps to slow the release of glucose into the bloodstream after a meal. Is an adaptogenic herb that helps the adrenal glands better manage the production, storage, secretion and elimination of stress hormones, allowing the body to conserve the nutrients that would otherwise be used to create energy. Improves how the body burns sugar. Taurine is an amino acid that your body naturally produces. It’s an antioxidant, and it helps to regulate heartbeat, muscle contractions, and energy levels. Inositol is part of the B vitamin complex and is closely related to choline and biotin. Inositol helps the body use fat as fuel, and helps muscles contract more efficiently. N,N, Dimethylglycine: A multi-patented supplement to support circulation, cardiovascular function, muscle recovery and endurance. An adaptogen and metabolic enhancer that supports physical and mental performance, oxygen utilization, circulation, glucose and fat metabolism as well as mental alertness and brain function. Fibersol-2™: A source of soluble fiber that significantly supports glucose and lipid control. Balanced glucose metabolism supports balanced energy production in the body. PRO Oranges contains nutrients & phytonutrients that support: physical performance, glucose metabolism, fat metabolism, brain function, mental alertness, oxygen utilization and cardiovascular function. * All fruits and vegetables in this formula are pesticide free! Vegetarian, gluten and dairy free! This product is vegetarian and free of egg, gluten, milk, soy, wheat, yeast, added sugars, synthetic dyes, artificial flavoring and preservatives. Suggested Use: As a dietary supplement, mix 1 packet (10 g) in 6- 8 oz of cold water or juice, 1 to 2 times daily, or as directed by your health care practitioner. Available in: 30 servings or 30 single-servings packets, natural orange flavor.